Mr.R.Krishnamoorthy, Senior Counsel for Mr.V.Ayyathurai (R3 in W.P.No.18868/05); Mr.R.Thiagarajan, Senior Counsel for M/s. K.Balu (for R3 in W.P.No.18869/05). the academic year 2005-2006 has been cancelled. 2005-2006 - Orders - Issued . Single Window System of admission from the years 1997-1998.
students by conducting entrance tests by themselves. the Association of self-financing professional colleges of a particular type. 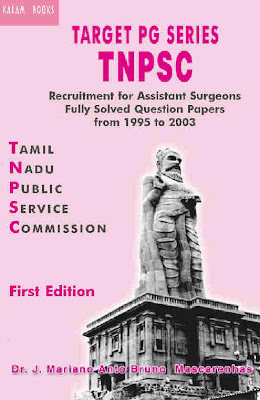 conducted by the Association in 2004-2005.
their wards all through the year to successfully complete the +2 examination. environment over the course of the years. the need for a merit-based selection." ensure that meritorious students gets their choice of colleges and courses. examination may be discontinued from the academic year 2005-2006.
entrance examination has been prescribed. from the academic year 2005-2006. 9. Orders in respect of Law courses will be issued separately. requested to take necessary further action in the matter immediately. 11. This order comes into effect forthwith. 6. It is alleged that the common entrance examination for admission to MBBS course for the academic year 2005-2006 was held on 23.04.2005 and the result of the same was declared on 12.05.2005. The result of the plus 2 (class 12) State Board examinations was declared on 17.05.2005. 7. The petitioner's grievance is that having been permitted to take the improvement as well as common entrance examination for admission to MBBS course for the academic year 2005-2006, the State has no right to change the procedure for admission/selection, particularly after the same had been announced for the academic year 2005-2006, and the petitioner had acted on that announcement and had appeared in the entrance and improvement test after a great deal of preparation involving time and money. 8. It is alleged in paragraphs 12 and 13 of the petitioner's affidavit that the common entrance examination is conducted by Anna University, Chennai and nobody has ever complained that the entrance test was not transparent. 9. It is alleged in paragraph 10 of the petitioner's affidavit that the State of Tamil Nadu has more than one examining body for plus two examination, namely, (i) State Board, (ii) CBSE Board and (iii) ISC Board. Hence it is alleged that in view of the regulations on Graduate Medical Education, 1997 framed by the Medical Council of India and published in the Gazette of India dated 17.05.2005 in Part III Section 4, the impugned G.O.Ms.No. 184 Higher Education (J2) Department, dated 09.06.2005 is illegal. "Regulations on Graduate Medical Education, 1997"
year admission to the MBBS course. and also English as a compulsory subject. has passed 10+2 with English at a level not less than a core course. test in each of these subjects and English. at such qualifying examination may be taken into consideration. board be constituted for all the colleges. Institution of All India character." petitioners have supported this submission. why the State of Maharashtra should say that it will be an arduous task. It has been, therefore, held a 'Common Entrance Examination has to be held'. judging the merit of all candidates who come from different universities. 17. Similarly, in Shri Chander Chinar Bada Akhara Udasin Society v.
which is well known. As such a common entrance examination has to be held." treated as part of the relevant Act itself. decisions cannot be said to have laid down the correct law. which we have set out above. MBBS course. The Court took note of the observations in State of Kerala v.
Council to prevent sub-standard entrance qualifications for medical courses. are in respectful agreement with this reasoning." colleges, are mandatory and not directory. part of the Medical Council Act. On the other hand, the impugned G.O.Ms.No. with policy decisions of the State Government vide Union of India v.
26. As observed by the Supreme Court in Kailash Chand Sharma v.
(iv) Purely administrative or executive orders. examining bodies/boards in the State of Tamil Nadu. rules will prevail and not the executive instructions." made governing the conditions of service of the employees." administrative instructions cannot be adhered to and will have no force"
earlier had to yield place to the statutory rules." treated equally vide State of Andhra Pradesh v. Raja Reddy, AIR 1967 SC 1458.
was violative of Article 14 of the Constitution of India. 36. In the Constitution Bench decision in St.Stephen's College v.
hence violates Article 14 of the Constitution. 38. In the 11 Judge Constitution Bench decision in T.M.A.Pai Foundation v.
fact unequally circumstanced cannot be treated on par." number does not appeal to us." this connection has to be rejected. relied on the decision of the Supreme Court in State of T.N v. S.V. Education Regulations or the Dental Council Regulations. .
surely does not amount to prescribing a higher criteria. State, then there has to be an entrance test. Delhi p.65) quotes the decision of the House of Lords in Warburton Vs.
the statute speak the intention of the legislature". Superintendent, RMS Vs. K.B.Gopinath, AIR 1972 S.C. 148 7 p.1488). cannot do violence to the plain and clear language used in the Regulations. self-restraint it will only enhance its own respect and prestige. support and one that has had valuable effects. restrain themselves from the areas reserved to the other separate branches. independence of the judiciary and the separation of powers. Reflections on the Reading of Statutes'). Court in 1937 suddenly changed its approach and began upholding the laws. 'Economic due process' met with a sudden demise. matters and controversies are best resolved in a non-judicial setting. Court, vide Brown v. Board of Education, 347 U.S. 483 (1954), Miranda vs.
Medical Council of India for postgraduate medical education." under Article 254(2) of the Constitution, but that has not been done. by fixing marks lower than what is set out by the Medical Council of India. 64. In Jaya Gokul Educational Trust v. Commr. & Secy. to Govt. subject to the provisions of Entries 63, 64, 65 and 66 of List I"
adjudging repugnancy under Article 254 of the Constitution." new medical college now rests with the Central Government alone." enable the latter to take appropriate action." of new medical colleges, and hence to this extent the State Act was invalid. many facilities and amenities which many urban people enjoy. taken into consideration in this connection and we are not experts in this. India today is not the rural India which existed 50 or even 25 years ago. in India and large scale influx of people from rural areas into the cities. Government or the authorities to legislate as suggested by Mr.P.P.Rao. cannot be directed to do a particular act." in Rama Muthuramalingam v. Dy.Superintendent of Police, AIR 2 005 Mad 1. Article 254 of the Constitution. opinion that the said abolition should only apply from next year. into effect from the academic year 2006-2007 onwards. conducted by appropriate agencies set up for the purpose." In view of the above, the common entrance test is mandatory and not directory. examination, be taken into consideration exception being MBBS degree holders. Institutions of all India character." (8) SCC 48 it has to be held that the Regulations have ceased to be in force. Article 14 is no longer in force. syllabus, different question papers, and different marking standards. Education (J2) Department, dated 09.06.2005 there will be no discrimination. examinations is the same. Thus, this argument cannot be accepted. constitutional provision or is shockingly arbitrary in the Wednesbury sense). authorities, unless they choose to restore it. 86. The writ petitions are allowed with the above observations. No costs. Consequently, connected miscellaneous petitions are closed. Entrance Test as well as the Improvement Test for the academic year 2005-2006.
expeditiously to enable the candidates to apply for the necessary courses. CHENNAI, JUNE 27: The Madras High Court today quashed the Tamil Nadu Government’s June 9 order abolishing the Common Entrance Test (CET) for admissions to medical and engineering colleges, dubbing it ‘‘unconstitutional’’ and ‘‘illegal’’. The order is a setback for the Jayalalithaa government which had hoped to score some brownie points in the run-up to next year’s Assembly elections. The CM had done away with the entrance test earlier this month saying it worked against rural students. She said these students tend to do well in board examinations and are favourably placed when selection for professional courses is based solely on performance in such examinations. Jayalalithaa’s order laid down that results of qualifying Class 12 examinations would be the sole basis for selection. But a High Court division bench comprising Chief Justice Markandey Katju and Justice F M Ibrahim Kalifulla today said it was “illegal” to do away with entrance tests when there were several examining boards like the CBSE and state higher secondary board. Allowing a batch of more than 400 writ petitions challenging the government order, the bench ruled that the order violated the selection criteria fixed in the regulations of the Medical Council of India and the All India Council for Technical Education for admissions to medical and engineering courses. It also violated Article 14 of the Constitution, the 56-page order said. The state government had ‘‘totally abandoned and given a go by’’ to the method prescribed by the regulations which had statutory force, the bench said. The TN government order ‘‘encroached on a field already occupied by central regulations, and hence, it was illegal,’’ the judges added. The bench said different examination bodies like the CBSE, ISC and state boards had differing syllabi, differing question papers and differing methods of assessment. “The Common Entrance Test is mandatory as there will be discrimination between the students who appear in the examinations conducted by an examining body which is more stringent in giving marks and students appearing in qualifying examinations conducted by a more liberal examining body,’’ it added. But the bench did not quash the part of the order relating to stopping improvement examinations. Noting that improvement examinations were ‘‘merely concessions’’ given to students, the judges said their withdrawal was not arbitrary. However, the exams will only be discontinued from next year. With Jayalalithaa in Delhi to attend an NDC meeting, it is not known if her government will appeal against today’s order in the Supreme Court. Parents and students as also educationists have been unanimous in expressing the need for a simplified system for admission to professional colleges particularly in undergraduate Engineering, M.B.B.S. and allied courses, B.V.Sc, B.Sc.(Agri.) undergraduate Law and similar other disciplines. 2. Prior to 1984-1985 admission to professional colleges was done based on the academic marks plus the marks in an interview. The interview was replaced by an entrance test conducted by the Anna University for admission to the professional colleges from the year 1984-1985. This procedure of admitting the students to the professional colleges based on the academic marks plus the marks obtained in the entrance tests was followed upto 1996-1997 and thereafter as a further expansion of the scheme the Government introduced a Single Window System of admission from the year 1997-1998. 3. Till 2002 i.e. prior to the Judgment in T.M.A.Pai case, admission to Government quota seats was being done through Single Window Counselling System of the State Government and students’ ranking was done based on the +2 marks and the marks in the entrance test. The management quota seats were however being filled up by the management themselves for which no entrance test was conducted. After the 11 Judges Constitution Bench of the Supreme Court of India delivered its Judgment in T.M.A.Pai case the same method of making admission to Government quota seats by combining the marks obtained by the students in +2 and entrance test through Single Window Counselling is being continued without any change. However, in respect of admissions under management quota, the management of self-financing professional colleges were instructed to make admissions in a fair and transparent manner. Following these instructions, during the year 2003-04 the managements admitted the students by conducting entrance tests by themselves. 5. The Government have been considering requests from various quarters for doing away with the common entrance test for admission to professional colleges. It has been opined that the Common Entrance Examination has now become a traumatic experience for parents and children as it appears to determine at one stroke the future of the child. In particular, students from rural areas are affected as the Entrance Examination operates against their chances to gain admission. The Plus 2 examination itself is a serious examination of merit as laid down by the Supreme Court. With the tremendous expansion in the educational facilities in the State, the opportunities for students in Professional Courses have been substantially enhanced. Parents are now taking enormous effort and interest in helping their wards all through the year to successfully complete the Plus 2 examination. This allows the student to develop his/her knowledge in a proper school environment over the course of the years. "In our view what is necessary is a practical approach keeping in mind the need for a merit-based selection." The judgment contemplates adopting a practical approach relying on merit which the +2 marks themselves constitute. A merit based system relying on the +2 marks alone would thus be just and sufficient. The +2 examination is itself verily an entrance test to get admitted to higher level courses and admission to Professional Courses. This obviates the need for any separate common entrance test. It is now proposed to make the admissions by ranking the students based on the marks obtained by them in the +2 examination to ensure that meritorious students get their choice of colleges and courses. Further it is considered that the present system of improvement examination has led to a problematic situation in admission where large percentage of seats are cornered by a small number of students who are in a position to take such improvement examination. It acts against those who cannot afford to take coaching classes and appear for improvement examinations. It has therefore been decided that admission of students for undergraduate professional courses based on a common Entrance Test may be abolished and the system of improvement examination may be discontinued from the academic year 2005-2006. (i) a new policy of admissions be introduced for admission to various professional institutions for undergraduate courses from the academic year 2005-2006 to ensure admissions purely on the basis of the marks obtained in the +2 examination and based on the rule of reservation of the State Government. This will cover admission to B.E./B.Tech and allied courses, M.B.B.S., B.D.S., B.Pharm and allied courses, B.Sc. (Agriculture) and allied courses, B.V.Sc., B.F.Sc., Law and such undergraduate courses for which the entrance examination has been prescribed. iv) Percentage of marks in Maths. v. the practice of allowing students to take improvement examinations thereby improving their +2 marks for admission to professional course be discontinued from the academic year 2005-2006. 8. The Government further direct that the marks of the students who have taken the improvement examination during 2005-2006 will not be taken into account for consideration for admission to professional courses. If they choose to seek admission to professional courses during 2005-2006, the marks obtained by them in the +2 in their first attempt will alone be taken into account. 10. All the Single Window Agencies and the departments concerned are requested to take necessary further action in the matter immediately. The Registrar, Anna University, Chennai-25. The Commissioner of Technical Education, Chennai.25. The Director of Medical Education, Chennai-10. The Director of School Education, Chennai.6. The Director of Government Examinations, Chennai.6. The Director of Agriculture, Chennai.5. The Director of Fisheries, Chennai.18. The Registrar, Veterinary University, Chennai-7. The Registrar, Tamil Nadu Agriculture University, Coimbatore. The Registrars of all Universities. The Chief Secretary to Government,Chennai-9. The Secretary to Government ,Finance Department,Chennai-9. All Sections of Higher Education Department. The Secretary I to Hon'ble Chief Minister. The Special Officer, Chief Minister’s Secretariat, Chennai.9. The Special P.A. to Hon'ble Minister Education and Commercial Taxes, Chennai-9.